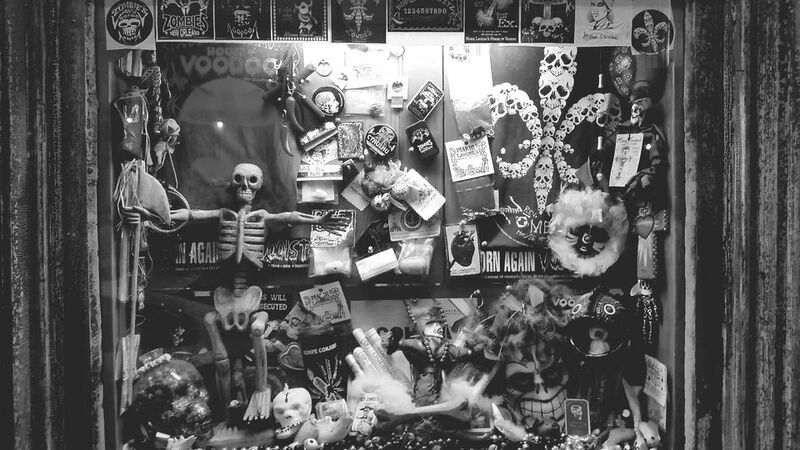 In New Orleans, stories of ghosts, spirits and paranormal activity are commonplace. That's not surprising if you stop to consider the history and age of the city. If you can get past the predisposition to assume all ghosts are frightening, you might not feel so uncomfortable around them. You can visit one of our beautiful cemeteries or stay at a hotel where paranormal activity has been reported. Here's a list of some of New Orleans' most haunted hotels. Part of this hotel, located in the French Quarter at 1024 Chartres Street, was once a Confederate hospital. In that part of the building, maids have reported seeing Confederate soldiers and surgeons of the era. There are also reports of blood stains appearing and disappearing mysteriously on bedding in some rooms. There's even a report that once, as the elevator door opened onto the second floor, the entire hospital was in view. In a previous incarnation, the Royal Orleans was the St. Louis Hotel. It is said that a maid at the St. Louis still sees to the comfort of her guests on the second floor, who wake up to find the sheets of the bed tucked tightly around them as if to keep them warm. However, what is she doing about the cold water faucets that turn themselves on in the middle of the night? Quadroon balls were held in the ballroom here, and later other parts of the hotel became a convent. In recent times, a man working alone on a stairwell said an obscene word and immediately felt a slap on his face (an outraged nun, perhaps?) Other ghosts include a young man who still kisses the ladies who suit his fancy. A ​Confederate soldier with a weapon has been seen on the seventh floor, and there are reports of several childlike spirits cozying up to the guests. Stories of murder and suicide engendered these ghosts. Children are heard laughing in the middle of the night, and their mother is often seen walking through the house. Perhaps they are looking for one another? A little girl who died in a yellow-fever epidemic reportedly appears in the mirror outside of Room 21, which used to be her mother's room. It is also said that her mother was too upset when "Marie" died to leave the building, and still occupies her old bedroom. There are reports of lights operating on their own, perhaps because Marie likes to wander about the property. Guests have reported awakening in a certain room to find ghosts staring at them, and the sound of disembodied children's laughter has been reported by others. Rumored to have been a brothel, there may be an eerie Madame who periodically knocks on doors. The Ashley house adjacent to the main building once housed prisoners of the Civil War and is reputedly haunted by an ethereal woman in the parlor, a phantom pianist, and footsteps sounding in unoccupied parts of the house. Numerous "cold spots", unusual electrical disturbances, and doors that are operated by unseen forces have been reported. This 19th-century hotel is so beautiful that the former owners refuse to leave it even after their deaths. A disembodied, although well-dressed, gentleman sometimes checks in on the guests. There is also a "Woman in White" who seems to like the ballroom and garden, and a little girl who wanders on the third floor near the balcony. Much of the hotel dates from the 19th Century. A dark-haired male spirit wearing a military uniform prefers the courtyard, and there you might be able to also catch a lightening-fast glimpse of a dancing woman. Someone likes to lock empty rooms from the inside, and many people report a sense of being watched.